Dealreporter has released its full year 2017 Global RiskArb report. 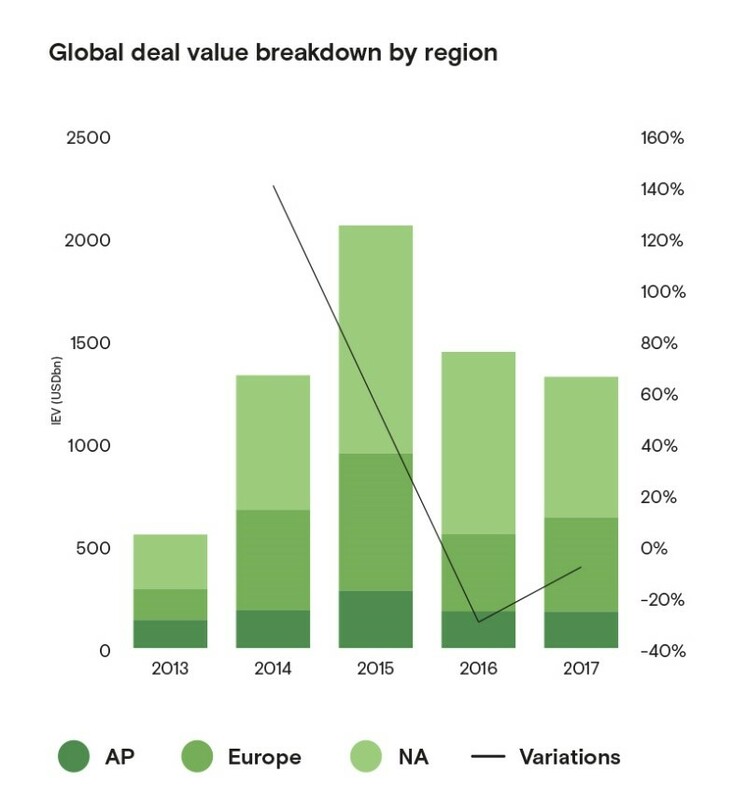 According to new research, the Global Public M&A market saw 343 new deals announced in 2017 for a total IEV of USD 1,290bn – a 9.3% decline in volume and a 10.7% decrease in value compared to the previous year. In terms of deal size, mid-sized transactions and mega-deals drove 2017 public M&A activity. 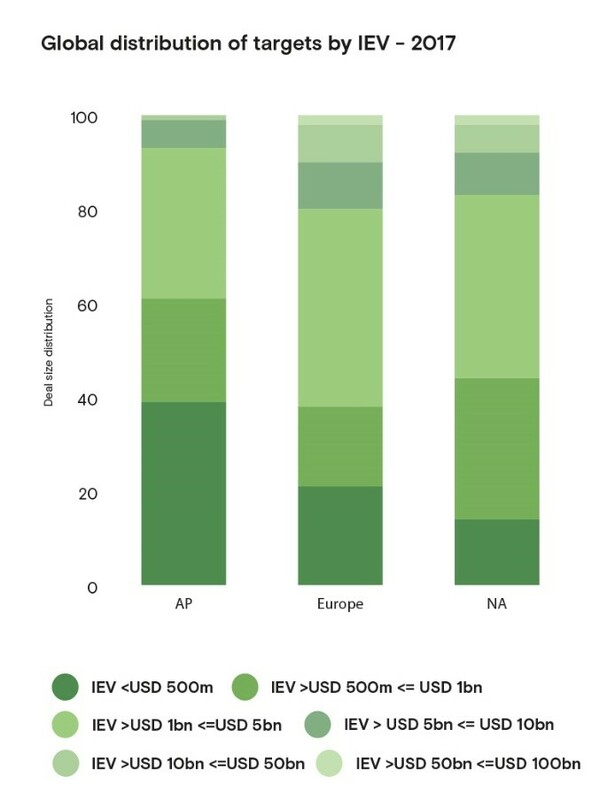 Companies targeted with equity valuations between USD 1bn- USD 5bn represented the most populated growth both in North America and Europe, though moved in opposing directions. While in Europe this increased 42% last year from 31% in 2016, North America saw a decline to 39% from 48%. In 2017 the lapse ratio – number of deals that failed to complete out of those announced – slipped to 14.4% from 17.2% - the lowest lapse ratio since 2013. 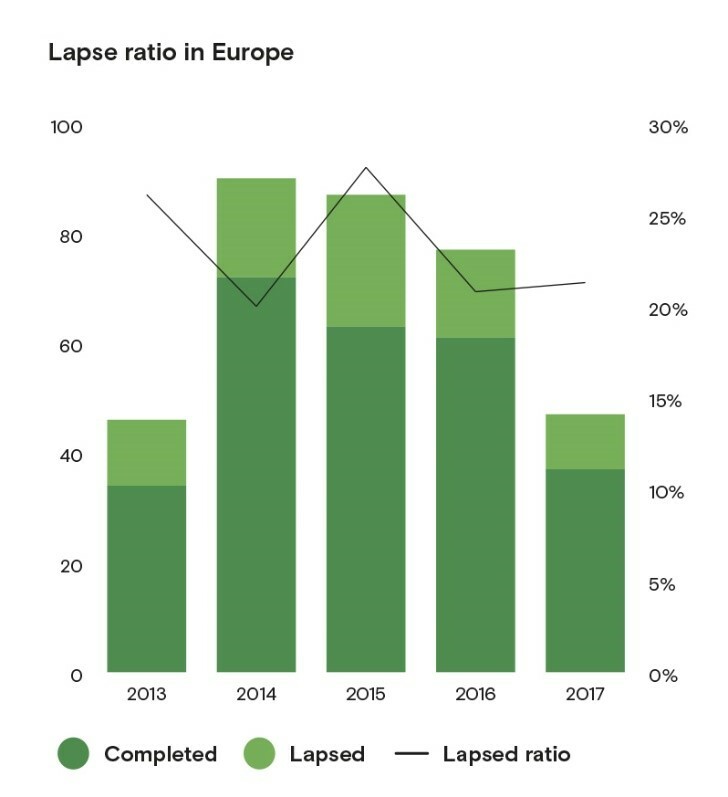 Europe boasted the largest decline in lapse ratio compared to 2016. Financial Services was among the most active sector across the three regions and ranked highest in Europe, accounting for 25%. It was also first in North America with 21% and second in Asia-Pacific with 19%. In all three regions, deals in the Financial Services sector upped from the previous year. 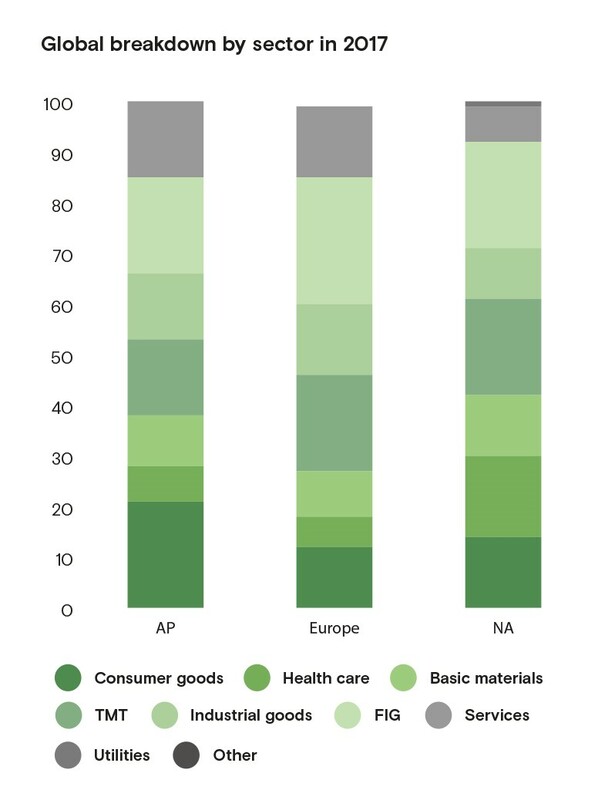 Cross-border deals declined in Europe, but remained stable in Asia-Pacific and North America. Whilst cross-border remained a preponderant feature of the European M&A market, its rate fell to 58% from 75% in 2016. North American and Asia-Pacific cross-border deals represented almost 1/3 of global M&A activity. 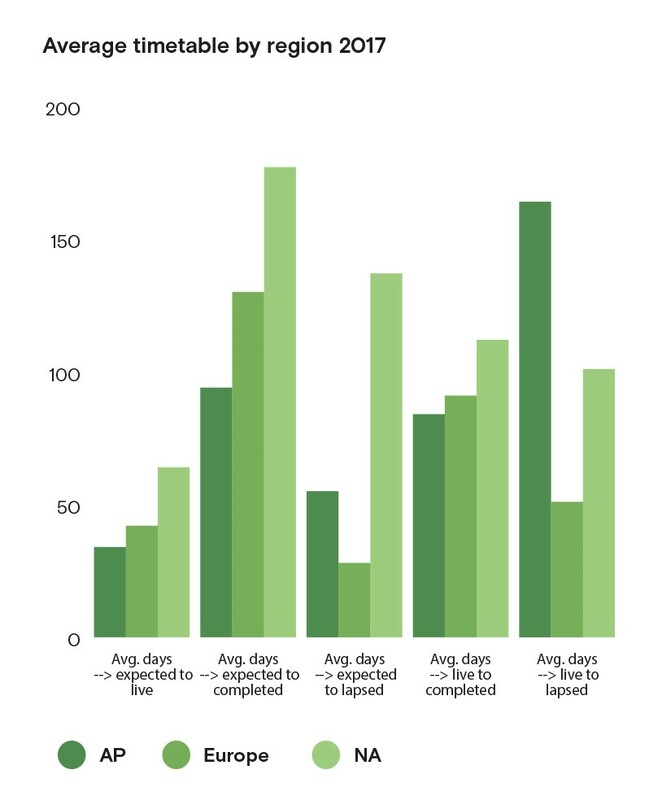 Deals in NA consistently took longer to complete on average compared to Europe and AP. This may not be too surprising considering the larger deal size often triggers deeper regulatory scrutiny. The duration of a deal shortened on average for all three regions in 2017 compared to 2016.